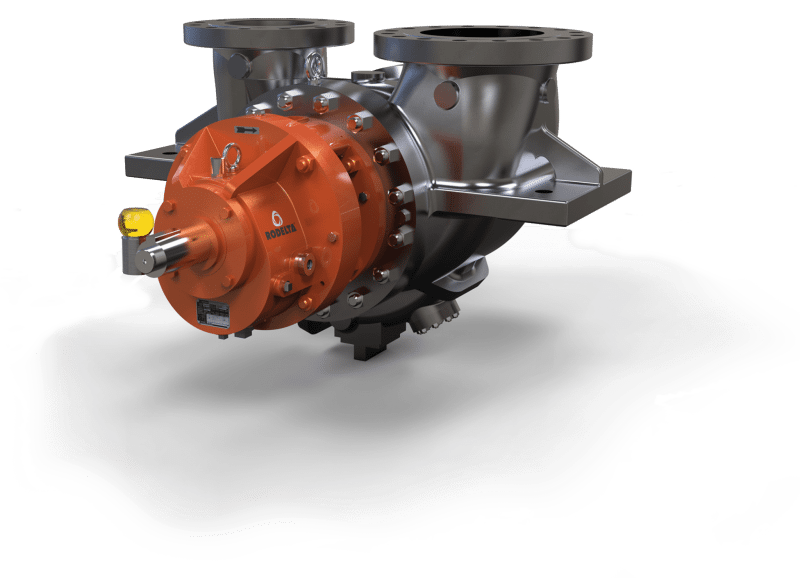 The BB2, type KBSD is a between bearing pump, single stage, double suction impeller pump conforming to API 610. The casing is center line mounted and with case wear ring. Casing is radially split with metal to metal joint having confined controlled compression spiral wound metallic gasket grafoil filled. 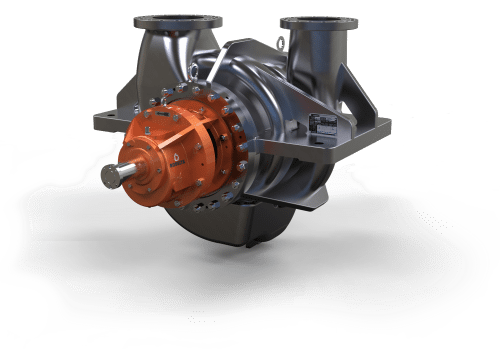 These pumps are suitable and used in applications of fluid handling in oil refineries and petrochemical industry. 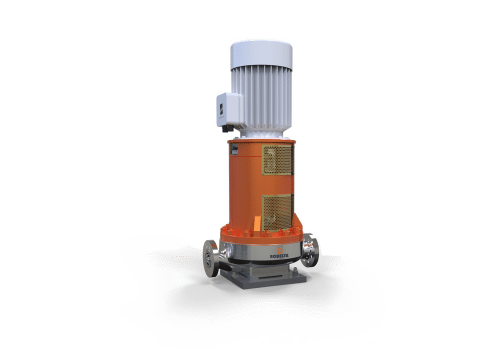 The discharge pressures are designed up to class 300 and class 600 if required and suitable for suction pressures up to 80 bar (g). 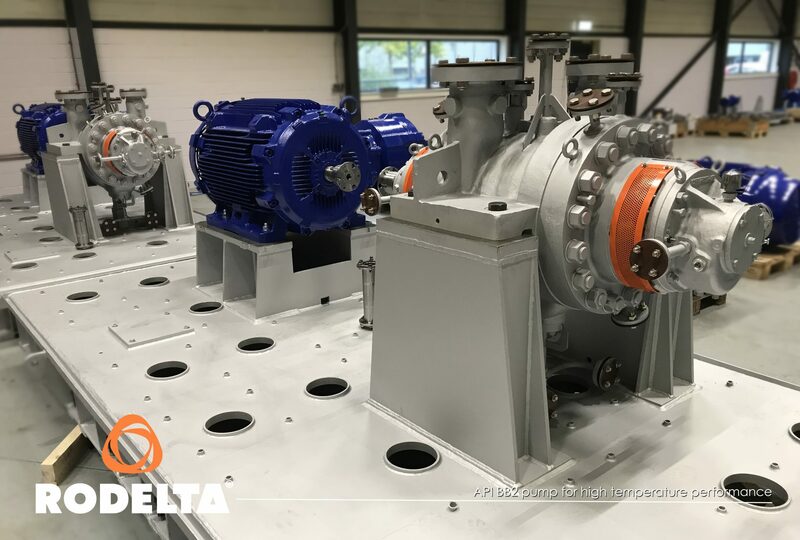 Removal of rotor or inner elements is possible without disconnecting suction or discharge piping or moving the driver. Enclosed impellers with wear rings. 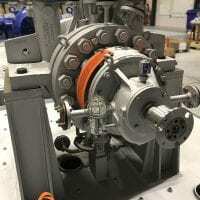 Inherent axial thrust balancing because of double suction impeller. Impellers located using impeller nut with threads to tighten by liquid drag on the impeller during normal rotation. Thrust bearing is located on the shaft with the help of lock washer and lock nut. 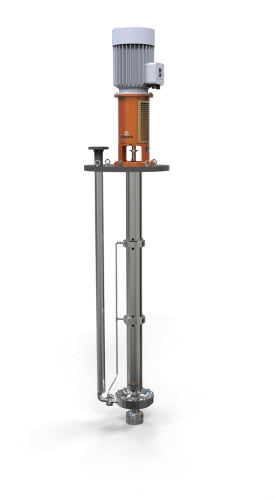 Oil level monitoring of the pump by constant level oiler. Bearing housing is with bearing covers having replaceable labyrinth type end seals. Pump with cartridge type mechanical seals at DE and NDE as per API682. Pump is available with taper shaft which makes easier removal of the coupling. Steam traced casing for heating of casing. 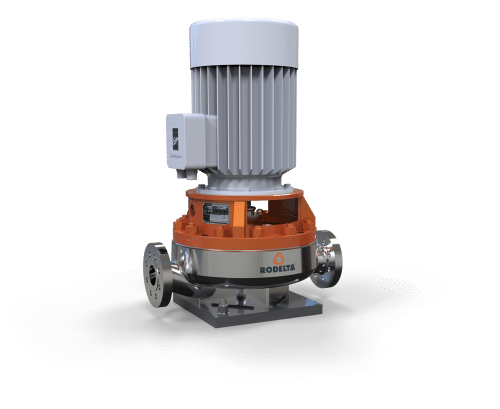 The casing is radially split and centerline mounted on pedestals. 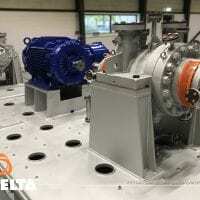 This reduces the effect of non-uniform thermal expansion of casing caused when pump is subjected to high temperature working liquid and/or external nozzle loads. 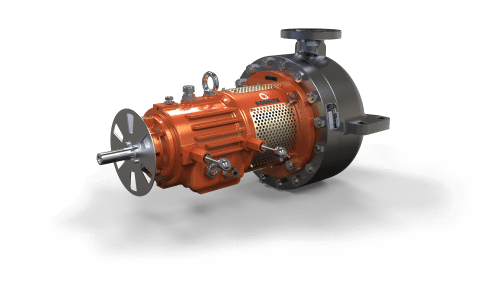 All casings are double volute type to take care of radial load generated during operational of the pump. The double volute design minimizes shaft deflection and eliminates unpredictable bearing and seal failures. Casing with thermal insulation can be provided to avoid unwanted heat transfer from liquid to surroundings & also to safe guard operator from getting injured because of direct contact with casing with high temperature. Provisions for mounting temperature / pressure gauge can be made on casing. Possible suction & discharge nozzle arrangements available are Top‐Top, Side‐Top or Side‐Side. 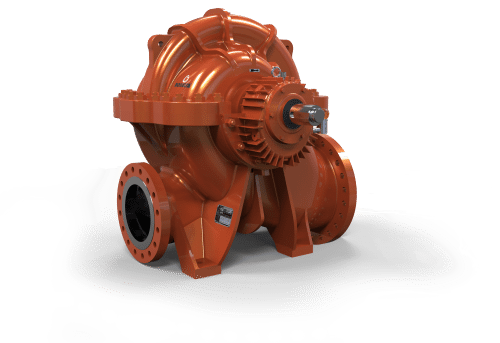 Depending on customer’s requirement pump with any of the above configurations can be designed & manufactured. Depending upon MAWP of pump, nozzle rating according to ASME B16.5 ranging from Class #150 to #600 with Raised Face (RF) & with Ring Type Joint (RTJ) above Cl.#900 are available. Pumps with Top‐Top & Side‐Top nozzle orientations are with self‐Venting arrangement whereas drain connection of ¾ inch is taken out from the bottom of casing & flange connection is provided within battery limit. 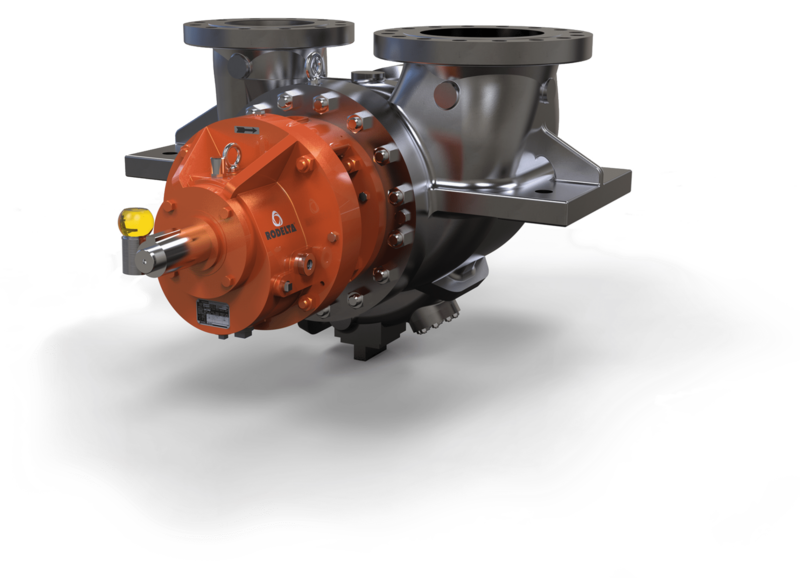 Drain connection with Flanged + Valve arrangement can be provided if specified. An 18-8 stainless steel spiral wound gasket with non-Asbestos filter is provided between the casing cover and the pump casing. The stuffing box is deep enough to accept various seal designs including tandem and double seals. Pump with conversion kit can also be supplied at site. After reaching pump to site this conversion kit can be removed & job specific seal can be assembled. Water cooled or steam heated stuffing box designs are available at extra cost when specified or required. Hydro‐test pressure for standard water jacket is 9.8 bar (G). 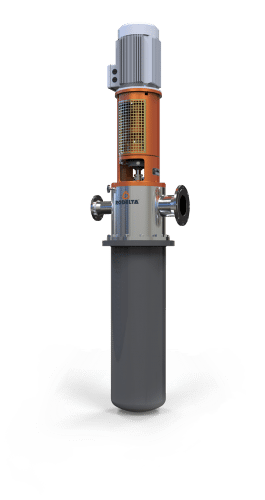 The impeller is a closed & is double suction type. It is provided with both front and back wear rings fixed with grub screw to ensure positive fitment of wear rings on impeller hub. Being a double suction design it helps in balancing of axial thrust developed during operation of pump. 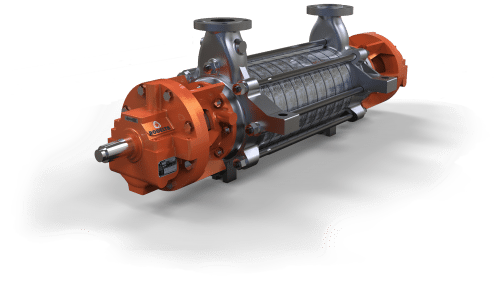 It also helps in reducing the suction specific speed of the pump which sometimes becomes hurdle in technical acceptance of model. 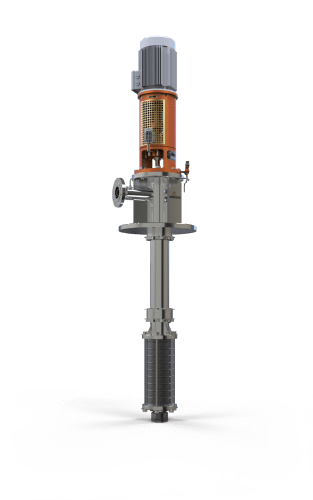 Optional Inducer design is also available for critical NPSH requirement or under critical suction conditions. 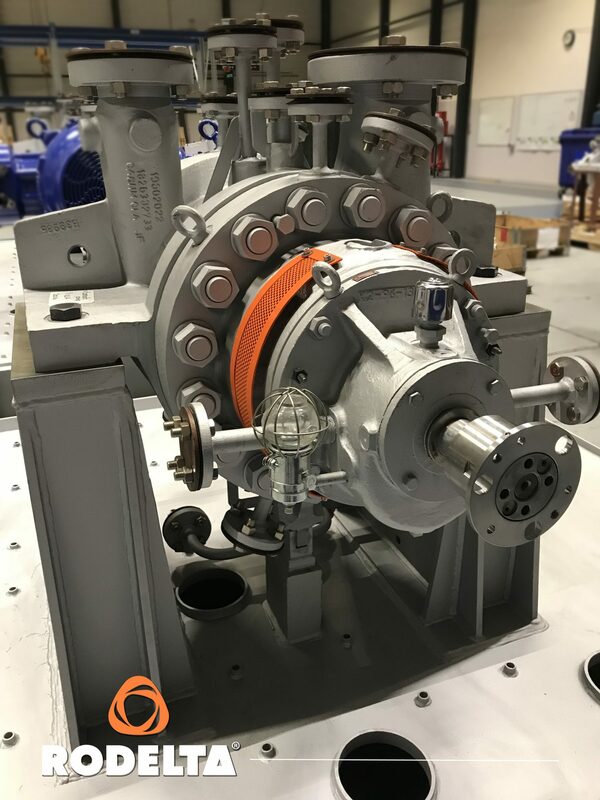 These impellers are located on shaft using impeller nut with threads to tighten by liquid drag on the impeller during normal operation of pump. The impeller wear rings are made in same MOC as that of impeller & held on with an interference fit and secured in positions with grub screws radially to ensure positive fitment on impeller hub. In case process liquid contains solid particles, then serrations or wear ring flushing can be provided to avoid choking of these solid particles in wear rings. The case wear rings are inserted in the casing and the casing cover with an interference fit and secured in position with grub screws radially to ensure positive fitment. Generally shafts are made up of bar materials, in some cases where there is not possible to make shaft from bar material, shafts can be made by forging process. These shafts are supported on antifriction bearing on both DE & NDE side of pump. On DE side a roller bearing with C3 clearance & on NDE side a pair of angular contact ball bearing in back to back arrangement in provided to take care of radial thrust developed during normal operation of pump. On DE side tapered shaft end is provided for easy removal of coupling hub & space during maintenance period. Thrust bearings are located on shaft with help of lock washer & loch nut. standard. For high power pumps, bearing housing can be designed to accommodate sleeve ball arrangement. 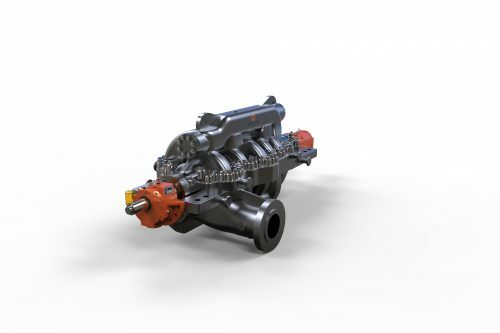 The bearing housing has an extra large oil reservoir to provide sufficient cooling capacity. 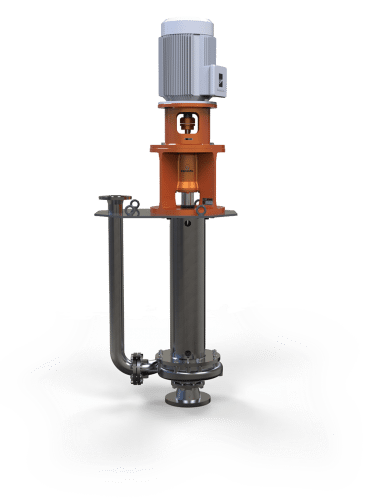 It is provided with arrangement for fitment of a constant level oiler which includes a mechanically lockable adjustment and a protecting wire cage. RTD’s for temperature monitoring of bearings. Fluid handling in oil refineries and petrochemical industry. 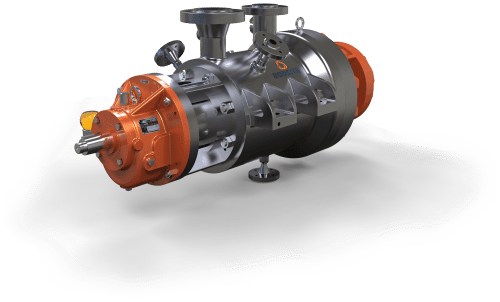 Pumps as Hydraulic Power Recovery Turbine (HPRT) in chemical and process plants. Variety of materials of constructions and seal flushing plans are available to cater to a wide range of applications.